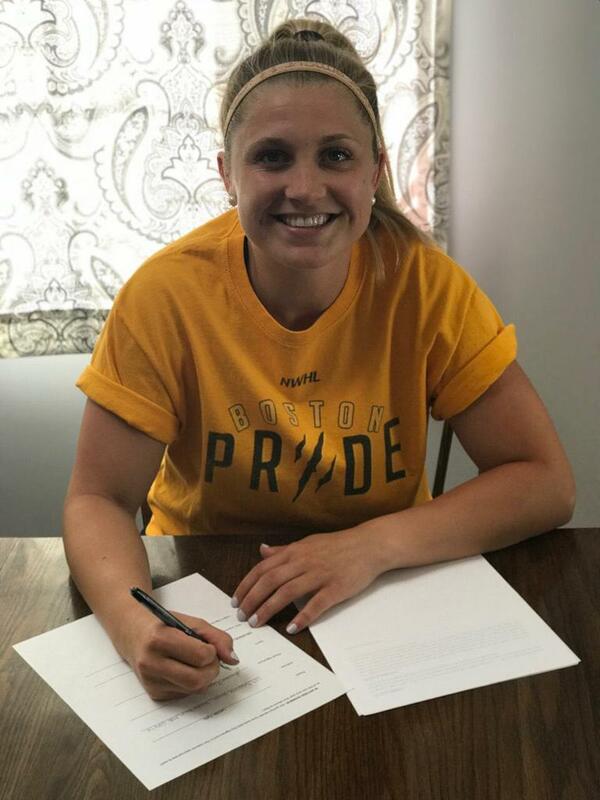 July 31, 2018– Lauren Kelly, a Massachusetts native and standout defender from Northeastern who graduated in 2018, is joining the Boston Pride for the upcoming NWHL season. In four years at Northeastern, Kelly scored 25 goals and had 39 assists in 140 games. In her senior season, she led all defenders in NCAA Div. I in power play goals (8). She was named to both the WHEA Second-Team All-Star and WHEA All-Tournament teams as well as being recognized as a New England Hockey Writers' Division I All-Star. Through offseason training in Canton, Mass. with strength coach Bobby Connors and hockey development coach Heath Gordon, Kelly notes that she feels as if she is in shape of her hockey career. With the Pride, Kelly will be joining several former cross-town rivals. Among the top players signed by Boston so far this summer have been Boston College Eagles Katie Burt, Emily Field, Toni Ann Miano and Dana Trivigno.